A “Perry Mason moment” happens when a lawyer introduces surprising and dramatic evidence that can win the case. 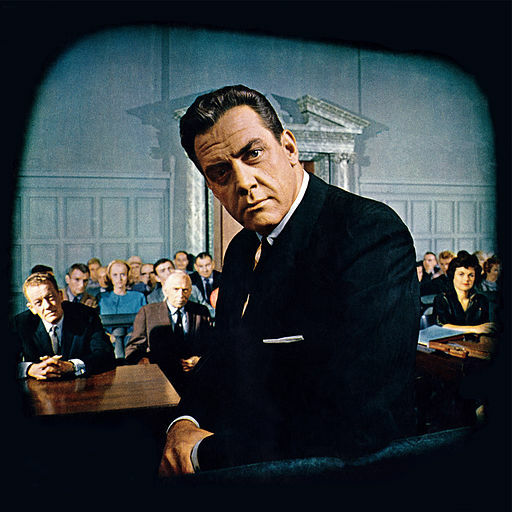 In the Perry Mason television series, the titular lawyer, played by Raymond Burr, won most of his cases by cross-examining the true culprits until they confessed on the witness stand. That is the ultimate Perry Mason moment – the brilliant trial lawyer forcing the guilty party to admit, “Yes! I did it! I killed him!” Such perfect Perry Mason moments rarely occur in real life – in court or anywhere else. I dreamed of achieving something similar to a Perry Mason moment while investigating Simon Greenleaf. In a previous post, Simon Greenleaf – 1. Debunking another apologetic fable, I discussed evidence that disproves the claim that one or more students challenged Prof. Greenleaf to disprove Jesus’ resurrection. No honest and intelligent person could evaluate the solid historical evidence about Prof. Greenleaf’s lifelong Episcopalian faith and still believe the story about his purported conversion from atheism. I wondered where the story began. The “atheist professor myth” about Prof. Greenleaf is a Christian urban legend, and researchers rarely find the patient zero for any such viral story. Nonetheless, it is sometimes possible to identify specific sources for urban legends. For example, researchers traced a popular Christian urban legend, “The Missing Day,” from its origin in the 1890s to its most recent version in the computer age. I therefore set out to discover the origin of the Greenleaf/atheist professor myth. Google provides my most practical means to research non-legal topics like urban legends, and I never cease to be amazed at what I can find with Google and a bit of persistence. 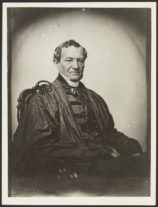 St. Clair included a footnote for the quoted language: “Simon Greenleaf, Testimony of the Evangelists, Examined by the Rules of Evidence Administered in Courts of Justice (Grand Rapids: Baker Book House, 1965, reprinted from the 1847 ed. ), pp. 28-30.” However, you can fact-check St. Clair’s citation against the 1847 edition of the Testimony of the Evangelists available online. The quote isn’t there. I theorized that St. Clair might be my patient zero – the original storyteller who concocted the story from scratch. Notice that St. Clair does not claim Greenleaf was an atheist – an integral part of the typical atheist professor myth. Likewise, St. Clair does not claim that Greenleaf intended to disprove the resurrection. I reasoned that St. Clair would not have omitted these key elements of the atheist/professor myth if he had read or heard an earlier version of the story in which Greenleaf was an atheist. Instead, I believed subsequent apologists expanded on St. Clair’s simple story. I was wrong, but it seemed like a good idea at the time. Which brings me back to my dreams of a Perry Mason moment. Barry St. Clair is still alive and operating a youth ministry in Georgia. 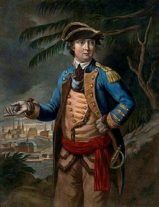 Could I cross-examine him and determine whether he originated the Greenleaf/atheist anecdote now found in numerous apologetic books and websites? I have read many supposedly true, but obviously false, religious stories while researching The Resurrection Briefs, and the chance to talk to the creator of one such myth seemed like a golden opportunity. However, I figured that, if I simply called up St. Clair and asked him about something that he wrote twenty-six years ago, his natural response would be that he needed to refresh his memory. Therefore, I decided to begin our conversation with an email. I sent an email to St. Clair’s youth ministry asking for his email address. I received a courteous reply from Mr. St. Clair’s wife saying that he was out-of-pocket, but she would try to help. Morning, Bob. So sorry you were unable to pinpoint that direct quote—I asked Barry about it. He said it is possible he made an honest mistake about that quote. However, since it’s been quite some time since he looked it up, he cannot recall. So we can’t be of further help on this exact thing. I have noted (for the next edition purposes) the nebulous quote in order to change the footnote or delete the quote. And that may be as close as I’ll get to my Perry Mason moment. St. Clair may have made an honest mistake. Although I believed St. Clair was my “patient zero,” I continued researching and eventually proved myself wrong. Instead of Googling, I searched individual apologetic websites for any reference to Prof. Greenleaf. I hit pay dirt when I used the “Search This Site” function of Dr. Gary Habermas’ website. Dr. Habermas’ website includes a copy of his 1976 doctoral dissertation, which includes the following story. The late Simon Greenleaf, past Harvard professor of law and one of the greatest legal minds that America has ever produced, was a religious skeptic. Challenged by his students to apply the techniques of his legal masterpiece A Treatise on the Law of Evidence to the resurrection of Jesus, Greenleaf became a believer. He later wrote a book, the long title of which is An Examination of the Testimony of the Four Evangelists by the Rules of Evidence Administered in the Courts of Justice. In this work he defends the resurrection and explains how, when judged by the laws of legal evidence, the event can be demonstrated to have actually occurred. I contacted Dr. Habermas to see if he could provide any further information regarding the source of the story in his dissertation. Dr. Habermas was most courteous and helpful, but he simply cannot remember everything he read or heard forty-three years ago. Dr. Habermas thinks he might have learned the Greenleaf story from one of McDowell’s tapes, but he cannot say with any certainty. My next step would naturally be to contact Mr. McDowell, but I had already tried – unsuccessfully – to communicate with him. On page 117 of his autobiographical book, Undaunted, McDowell says he read The Testimony of the Evangelists in the 1960 and then tells a version of the Greenleaf/atheist story. However, McDowell does not specifically say that he first learned of the Greenleaf/atheist story in the 1960s. He might have read Greenleaf’s book in the 1960s, and then heard the Greenleaf/atheist story years later. I contacted Mr. McDowell through his website seeking clarification on this point, but McDowell has not responded to my inquiries. Thus ends my quest for a Perry Mason moment. Maybe Josh McDowell invented the Greenleaf/atheist story. I don’t know because he won’t talk to me. I will discuss Mr. McDowell’s silence in my next post. THE RESURRECTION OF JESUS: A RATIONAL INQUIRY By Gary Robert Habermas, A Dissertation Submitted to Michigan State University, in partial fulfillment of the requirements for the degree of Doctor of Philosophy, Interdisciplinary Studies, College of Arts and Letters, 1976. Page 327-38.